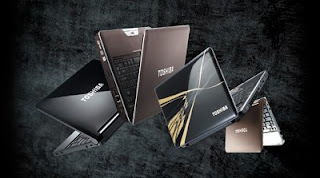 Toshiba has launched 6 Artful Notebooks in Delhi. Laptops are priced between Rs 22,900 and Rs. 53,490. The starting range is very economy, the beginner should start with! Toshiba India Pvt. Ltd. has announced the launch of its new ARTFUL lineup of Notebook PC Products. The range comprises of 2 Mini Notebook PCs and 4 Mainstream Notebook PCs. This is part of the company’s commitment to provide users around the world with innovative notebook PCs that bring new capabilities and heightened convenience to the customers. The new range of Notebook PC’s are loaded with design features that appeals to the human visual and tactile senses. “With our new ARTFUL lineup of Notebook PC Products, we would like to present a Notebook range that’s not only superior in terms of its Quality & Service but also in terms of its Design. With design elements like Chrome Hinges & Borders, Textured Surface and IMR patterns, we believe that the new models will appeal strongly to our customer’s visual and tactile senses,” commented Sivakumar N, Head of PC Division, Toshiba India. The new range is available at a price range of Rs.22,990 to Rs.53,490 excluding taxes. That makes it easier for customers to choose a product that leads in design, quality and service at an extremely affordable price point. The most stylish product of the range is NB200 Notebook. Its vibrant colors and textured design patterns make it a truly stylish mobile companion. This 10.1-inch diagonal wide LED screen mini notebook meets consumers' mobility needs and reflects their modern digital lifestyle and comes in two distinct designs—Cosmic Black Color with Fusion Stripes and Black Flat Keyboard and Satin Brown Color with a unique matt finish and compelling pleated textured cover design with a chrome hinge. The full QWERTY keyboard and a generous laptop-sized touchpad make the typing and surfing comfortable and typo-free. A 3D-accelerometer monitoring system dynamically detects free falls, shocks or vibrations. It rapidly moves the HDD head from between the platters protecting valuable data stored on the high capacity (up to 160GB) HDD. Powered by the latest 1.60GHz Intel® Atom™ Processor N270 / 1.66GHz Intel® Atom™ Processor N280 with Intel® 945GSE graphics chipset and comes preloaded with Windows XP® Home. Thanks to Bluetooth 2.1 with EDR, Wifi (802.11 b/g), and 10/100 Ethernet interfaces, the NB200 easily connects with peripherals or Internet access points. It also comes with two USB 2.0 ports and a unique USB 2.0 port with Sleep-and-Charge function that enables users to charge portable electronics and mobile phones even when the unit is turned off. Its advanced multimedia and communication capabilities prove that a small form factor Notebook can yet be ready for business or multimedia applications. The NB 200 has a battery backup of 3.51 hours. The next product of the series is Satellite M500. Not just powerful entertainment features, M500’s exquisite design puts it in a class of its own. Featuring in a Premier Black color chassis with Champagne Gold Patterns, the LCD cover of the product comes with Toshiba Fusion Finish based on IMR (In-Mould Rolling) technology with a Sonic Boom AERO design. Adding to its sophisticated allure, the Satellite M500 offers an edge-to-edge display (Flush Screen) with a glass mask, while rims and hinges are made of chrome. The keyboard with flat keys in matt black finish transforms the Satellite M500 into an elegant multimedia powerhouse. To protect the valuable data in the HDD, it comes with hard drive protection, thanks to a built-in 3D Motion Sensor that dynamically monitors free-falls, shock and vibration, and rapidly prepares the drive head for impact. A Fingerprint Security Suite secures the data, preventing unauthorized access. Powered by Intel® CoreTM2 Duo Processors and 3GB system memory, the new multimedia machine features a 14" high definition LED backlight display with Clear SuperView Technology, and a true widescreen 16:9 aspect ratio that offers a resolution of 1366 x 768 pixels and a luminance of 260 NITs. It also comes with high-end Harman/Kardon stereo speakers for a vibrant sound experience. Through HDMI CEC (High-Definition Multimedia Interface Consumer Electronics Control) interface, it can be operated with a remote control. Toshiba is the first manufacturer to implement the CEC specification for HDMI onto its notebook computers. The Satellite M500 has an integrated DVD Super Multi (Dual Layer) drive, a 5-in-1 Card Reader for the most popular media cards, three USB 2.0 interfaces and an additional eSATA/USB combo port that supports Sleep-and-Charge, allowing a customer to charge an MP3 player, mobile phone or other device while the laptop is switched off. The Notebook also features a Multi-Touch Pad with Gesture Support, an alternative to conventional scrolling and buttons. It also comes with pinch gesture to zoom in or out, ChiralMotion Scrolling for smooth scrolling, momentum motion for smooth, fast, trackball-like cursor motion and facilitates rotation of images and graphics. Eight feather touch buttons give direct access to audio/video functions and also to the Toshiba's Eco utility, which makes reduction of power consumption easy and visible. It also has a HD web camera that records videos in wide format. The third product of the series is PORTEGE M900. Powered by an Intel® CentrinoTM Technology, including Intel® CoreTM2 Duo Processor and 2048MB system memory, it is able to tackle most computing tasks. A 13.3" high definition Clear SuperView display and a resolution of 1,280 x 800 pixels and a luminance of 250 NITs provides superior graphics experience. This signature brown colored product also offers a true tactile experience with the textured finishing not only on the chassis but also continuing on the inside. Weighs just 2.15 kg, it comes with hard drive protection mechanism to protect the valuable data. Its small form factor ensures high mobility. The Fingerprint Security Suite secures the valuable data. It also provides various interfaces like Bluetooth 2.1 with EDR, a 5-in-1 Card Reader, HDMI (High Definition Multimedia Interface), two USB 2.0 ports and an additional eSATA/USB combo port which supports Sleep-and-Charge to charge devices via USB even while the laptop is switched off. The PORTÉGÉ M900 also has a HD web camera and supports Toshiba's SmartFace Face Recognition software that lets the user log on with his face. For online access it has wireless LAN and Gigabit LAN onboard. The Multi-Touch Pad with Gesture Support provides an innovative alternative to conventional scrolling and buttons. It features pinch gesture to zoom in or out, ChiralMotion Scrolling for smooth scrolling, momentum motion for smooth, fast, trackball-like cursor motion. ChiralRotate facilitates rotation of images and graphics and ConfigFree simplifies network configuration and online access while the PC Health Monitor gives a quick overview of the essential components of the laptop's health. The software also alerts the user with pre-failure conditions via a specific graphical user interface. Its eight feather touch buttons give direct access to audio/video functions and Toshiba's Eco utility makes it power efficient. For everyday computing, the company has introduced the new Satellite L500 and Satellite L510 wide screen Notebooks. These are targeted at consumers who value design and power for their everyday computing needs. IMR (In-Mould Rolling) is used in both the products to deliver a design with rolling slim lines which continue inside built-in VGA web camera on the Snow Silver surface around the silver-painted keyboard. A multimedia bar with four buttons enhances usability of these devices, as does the seamlessly integrated touch pad. The steel grey cover design provides a contemporary finish. The Satellite L510 has a 14’’ HD Toshiba Clear Super View display with power saving LED Backlight technology display, while the Satellite L500 comes with a 16" HD Clear Super View display. Both models offer a resolution of 1366 x 768 pixels. Connectivity of both devices is defined by an embedded WLAN interface including draft-n, Bluetooth 2.1 + EDR (Enhanced Data Rate) and Fast Ethernet LAN (10/100 Mbps). Toshiba ConfigFree software also facilitates easy configuration of network access. Though being positioned in the price-conscious mainstream market segment, both the products are furnished with a broad variety of ports: an HDMI (High Definition Multimedia Interface) port, a 4-in-1 Card Reader slot, two USB 2.0 ports and an additional eSATA/USB combo port. A DVD Super Multi (Dual Layer) drive and a VGA web camera supporting Toshiba's Face Recognition software for easy log-in to password protected applications are also onboard. It also has Toshiba's Eco utility4 that reduces the power consumption. Toshiba offers a broad range of CPUs. The Satellite L500 comes with a choice of Intel® Pentium® Dual Core & Intel® CoreTM2 Duo Processors, the Satellite L510 with Intel® CoreTM2 Duo Processor.